I will from time to time leave notes here on what I’ve been up to as far as updating the tree bupropion online. Most recently, I’ve done some work on basic entries for the family of Richard William Perrin (1857). I also had a fresh look at Richard Miller and Anna Ward, parents of John Miller (1797) whose sister Anna married Richard Bayley, whose 1813 schoolboy copybook we still have, in bureau with ‘secret drawers’ that was made for or belonged to Richard Bayley. Richard Miller, “of Halesowen” when he married Anna, is something of a stumbling block. Anna Ward offers at least her parents. Richard and Anna had seven known children. 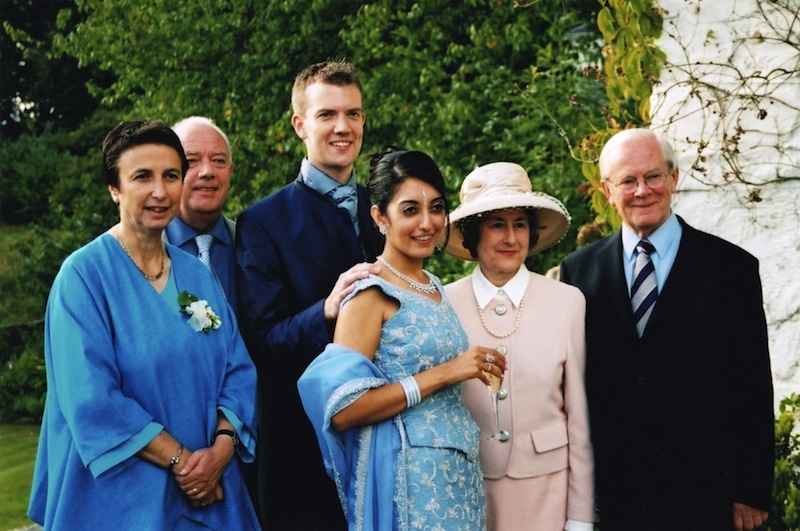 August 2003 saw three generations of the Perrin Male (and their better halves) brought together in one place – The Samling in Cumbria – following my wedding. 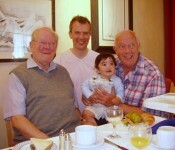 Less than 3 years on, another Perrin Family moment saw 4 generations of the Perrin Male together at the regular family haunt, the Tiverton Hotel. Quite an occasion, I’m sure you’ll agree.